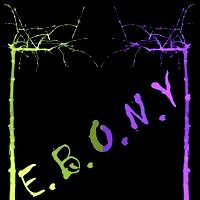 Does E.B.O.N.Y. drive you up the wall? Have you spent too much time on E.B.O.N.Y. so far? Do you have sleepless nights because you can't beat Level 21? Why don't you call the visitors of your homepage too? Put an E.B.O.N.Y. sticker, picture or banner on your webpage! You only have to copy the code of the desired picture to the appropriate part of your homepage, blog or whatever.